Robins produced two related knitted body forms, both entitled ‘The Imperfect’, in collaboration with artist Celia Pym. These forms were created by reworking two of the flawed body shapes produced during Robins’ ‘The Perfect’ project (see Robins REF output 1). 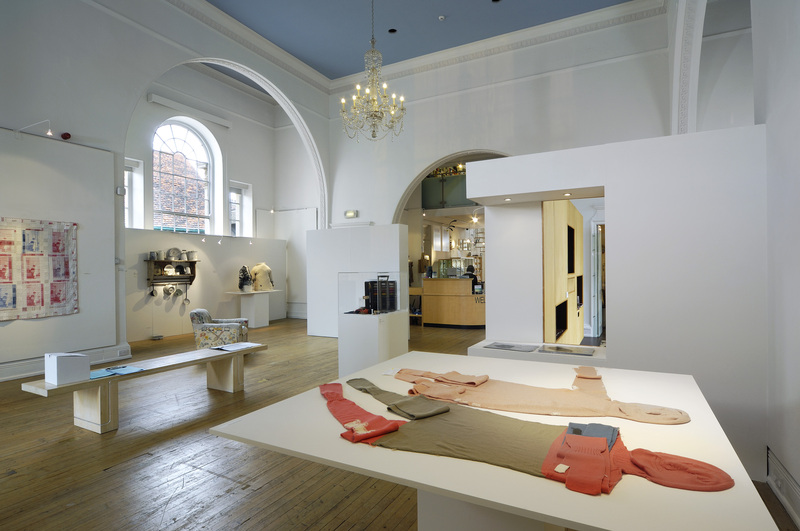 ‘The Imperfect’ was exhibited in a group exhibition entitled ‘Making and Mending’ at Bury St Edmunds Art Gallery, UK (2009), where Robins and Pym also gave a joint talk. In creating ‘The Imperfect’, Robins reviewed the relationship between manual craft and digital manufacturing, specifically in terms of computer-aided machines that can mass-produce objects to appear crafted. 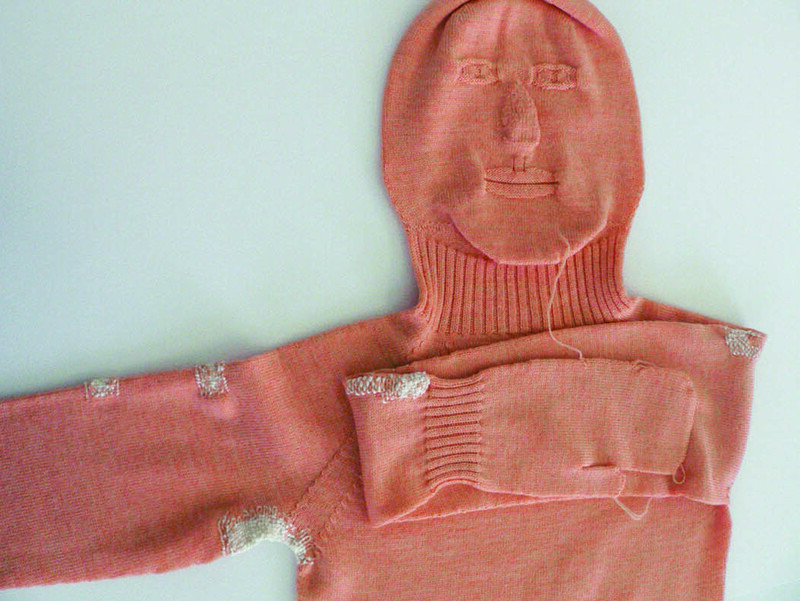 The knitted bodies had been made using a seamless knitting machine, a technology developed to remove the workmanship of risk in order to produce the perfect garment. Robins explored how to define a successful result, selecting the initial samples, the test pieces, the ones that went wrong. For Robins, the technically imperfect works were paradoxically the perfect works. Robins discussed the project and its outcomes in an article, also entitled ‘The Imperfect’, which was published in volume 6 of THERE: Journal of Design (College of Design, University of Minnesota, 2010, pp.60-61). In this, Robins contextualised the technical and aesthetic decisions made when creating ‘The Imperfect’ through references to her experience of digital technologies and commitment to wool as a material with tactile and symbolic qualities. Robins also commented on the loss of the tactile dimension when creating works exclusively with computer-aided machines.